dosa recipe | dosa batter in mixie recipe | crispy dosa batter recipe with detailed photo and video recipe. this is a easy home made dosa batter recipe used for plain dosa, ghee dosa, butter dosa, tomato dosa or uttappam. perfect dosa or a crispy dosa recipe heavily depends upon the proper dosa batter. 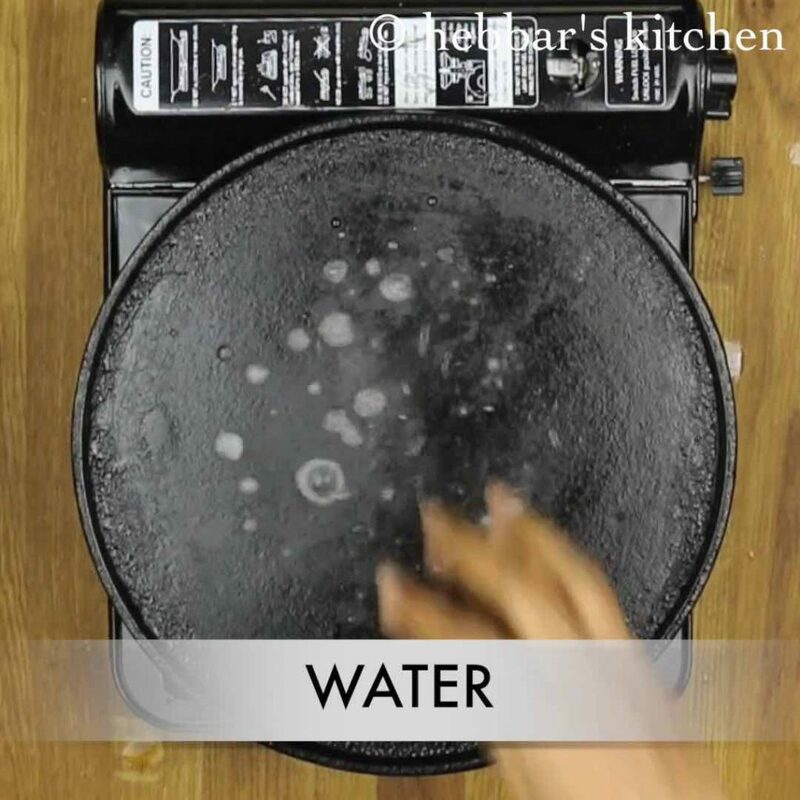 dosa recipe | dosa batter in mixie recipe | crispy dosa batter recipe with step by step photo and video recipe. 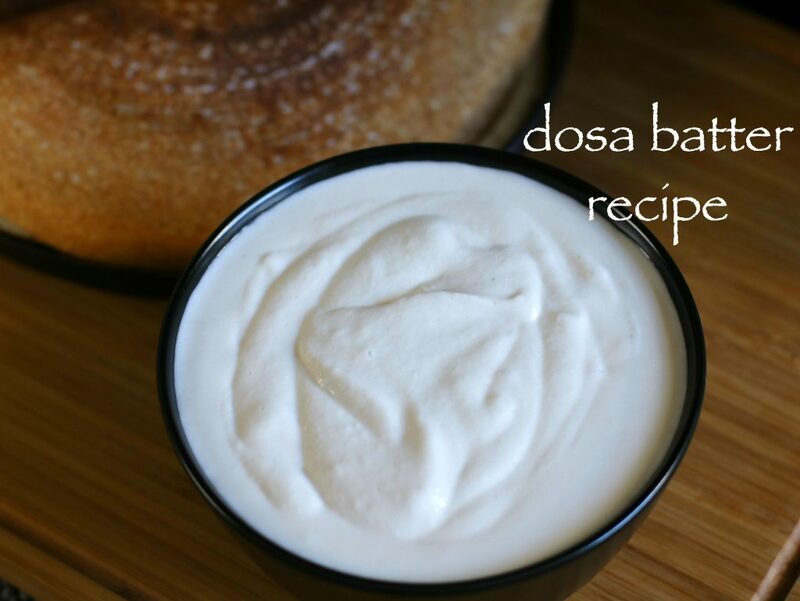 a perfect south indian dosa recipe can easily achieved by a homemade dosa batter. 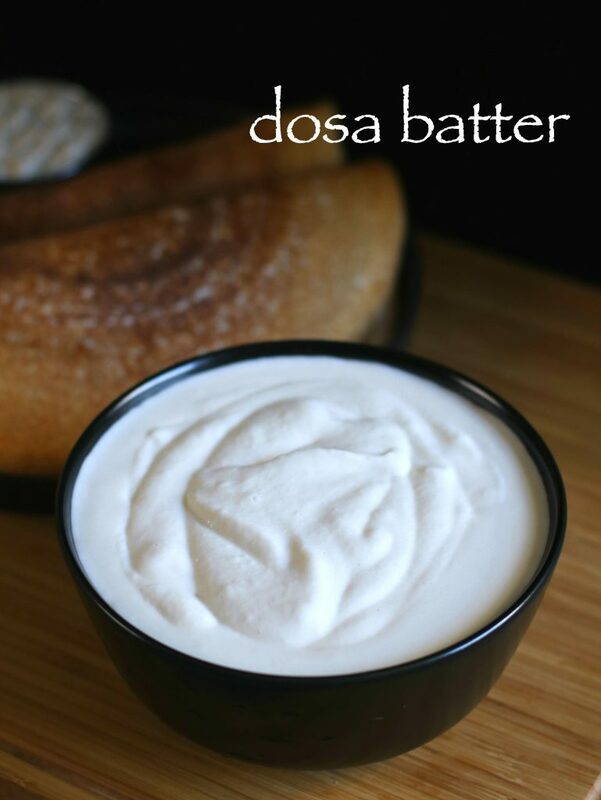 more importantly this authentic dosa batter recipe is prepared from mixer grinder or mixie. 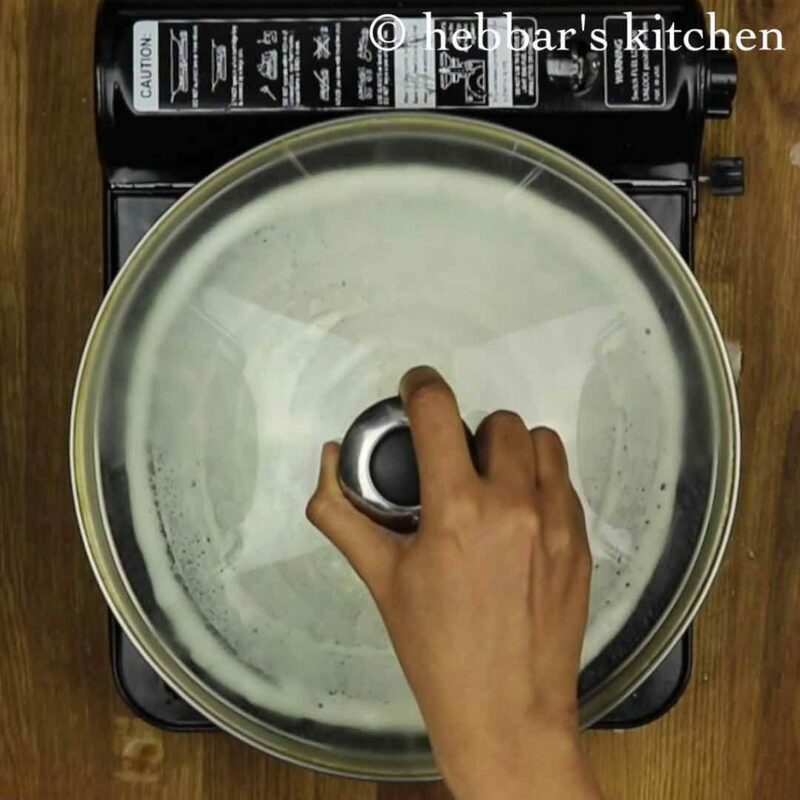 traditionally, dosa batter recipe is prepared from wet grinder. however this recipe is for those who do not have access for wet grinder and can prepare in mixie jar or mixer. i am a huge fan of dosa recipe and you can clearly see that in my blog. well being a south indian, dosa recipes are must for breakfast and for brunch. i prepare the dosa recipes almost every week. but never thought of posting it with a video. 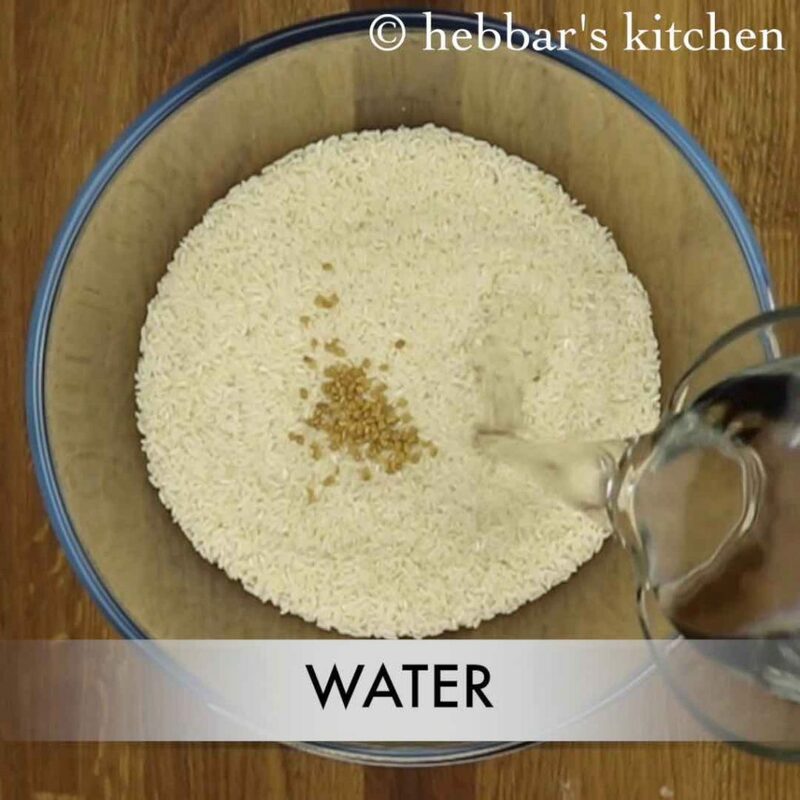 in this post and video i have tried to detail each and every step including soaking, grinding and fermentation. also, i have not added any fermenting agent like yeast or baking soda. after grinding i had kept the dosa batter in a warm place to ferment it naturally. if you are living in a cold place then you can follow my idea. i keep the dosa in preheated oven to ferment. this helps to fasten the fermentation process. furthermore, i would like to share few trips and tricks to prepare crispy and crunchy dosa. firstly, keep always flame on medium. if the flame is high, you would not be able to spread it easily. 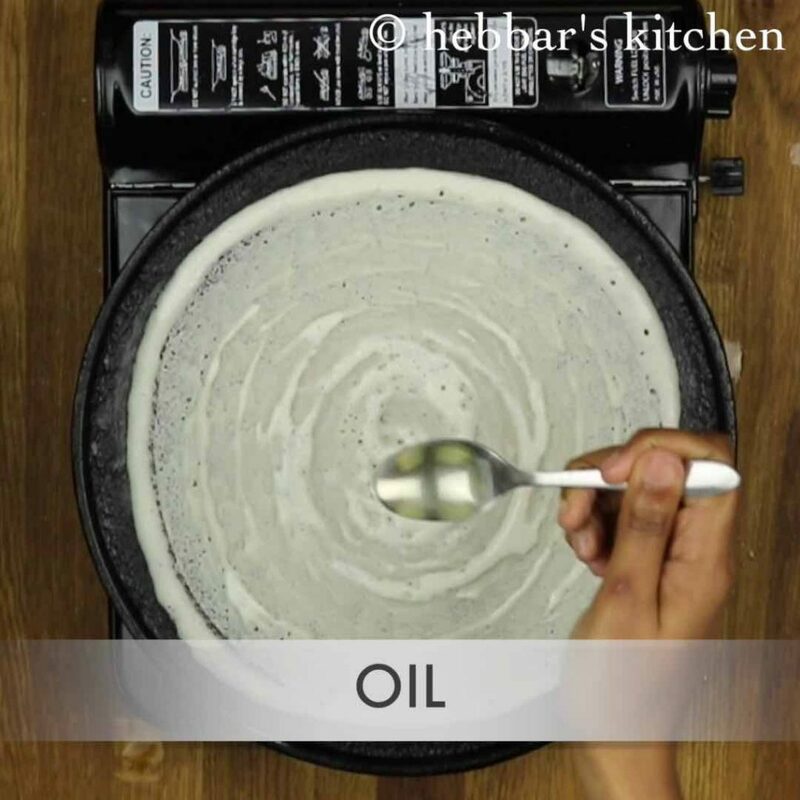 secondly, apply oil to dosa pan before pouring dosa batter. 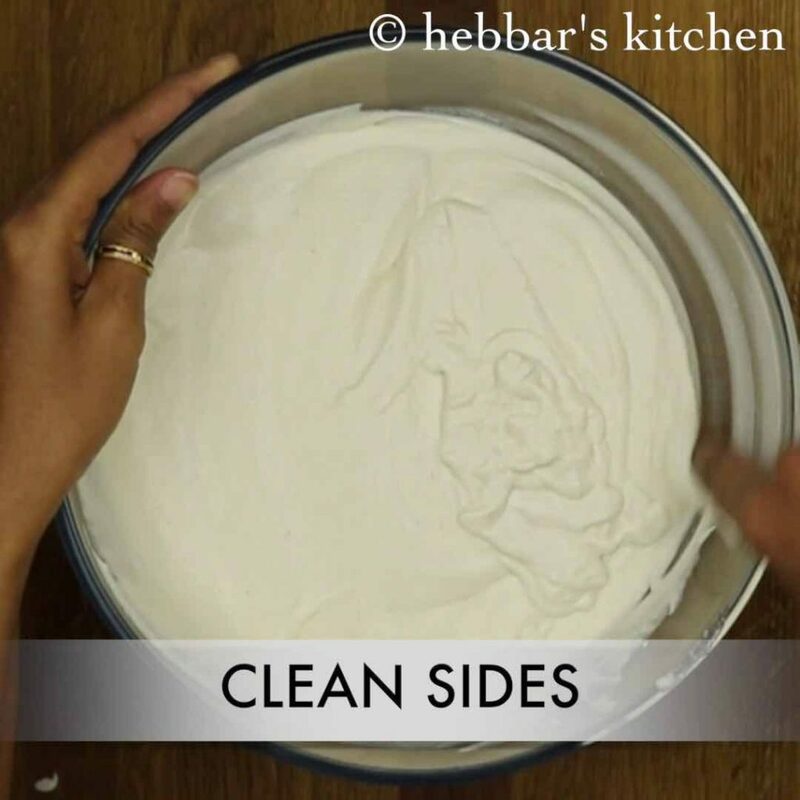 spread it evenly with a tissue paper as shown in the video. once the oil is applied to tawa, sprinkle some water on tawa. this helps to maintain the temperature of tawa and also also makes the tawa smooth. 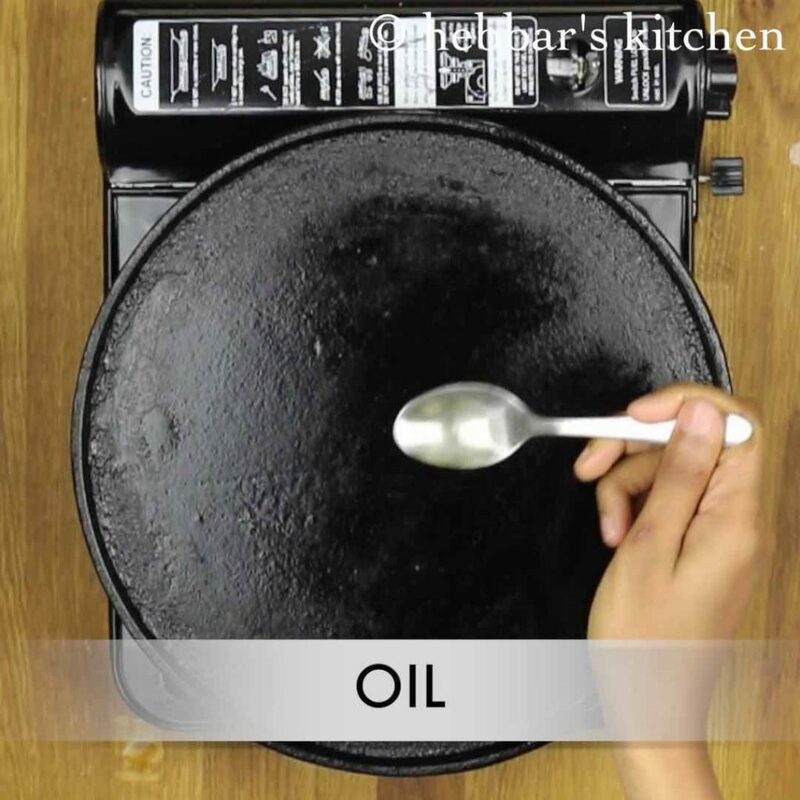 you can skip this step of adding oil if you are using nonstick pan. lastly, do add salt immediately after grinding. salt will stop fermenting process and add only after fermentation. finally, do check my other dosa recipes collection and idli recipes collection. particularly, rava dosa, set dosa, mysore masala dosa, dosa with cooked rice, bread masala dosa recipe. also, do visit my other indian breakfast recipes collection. especially, bisi bele bath recipe, upma recipe, poha recipe, akki rotti recipe, bombay sandwich and pinwheel sandwich recipe. drain the water from urad dal and keep aside. 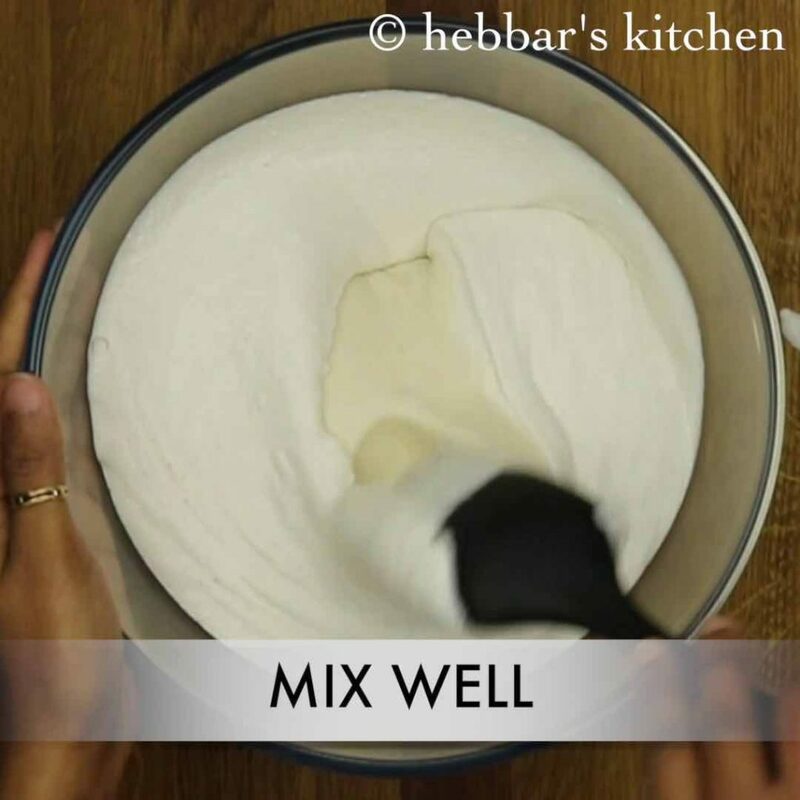 additionally, mix the batter slightly. further scoop the required batter in a different bowl. 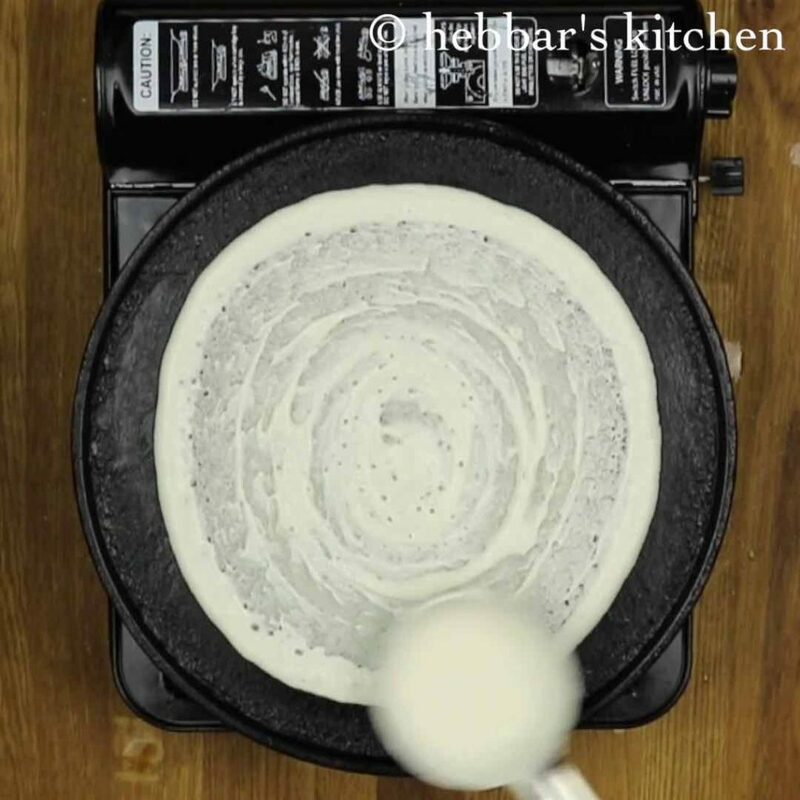 furthermore, heat griddle and pour a ladleful of the batter on it and spread it in a circular motion thin circle. finally, fold over to make a semi-circle or a roll and serve immediately with coconut chutney and sambar. 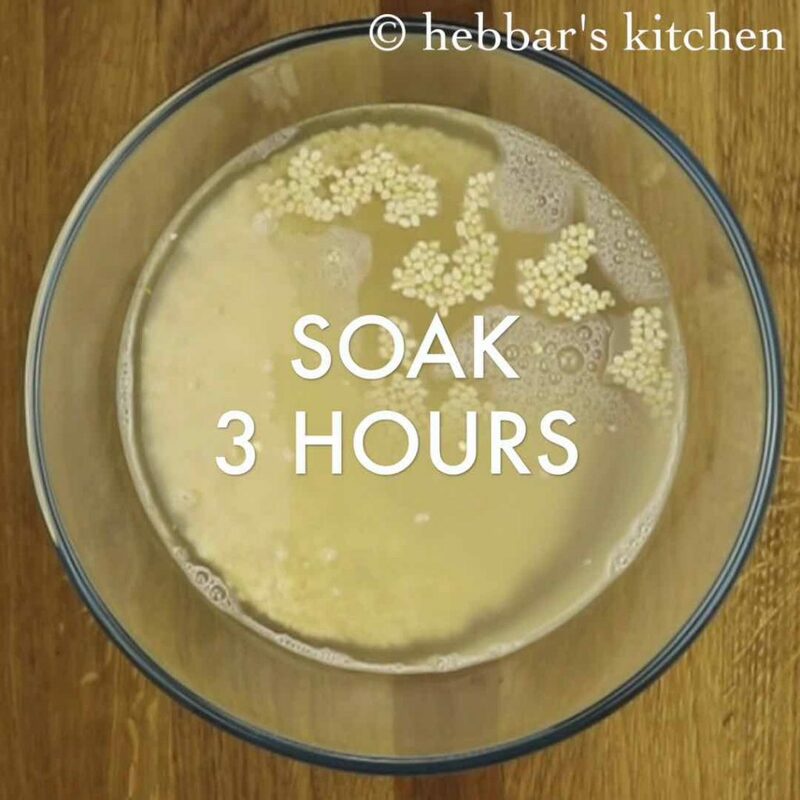 furthermore, soak urad dal for 3 hours. do not over soak urad dal as they start to smell. drain the water from urad dal and keep aside. you can use it if required while blending. urad dal soaked water helps to fasten the fermentation process. 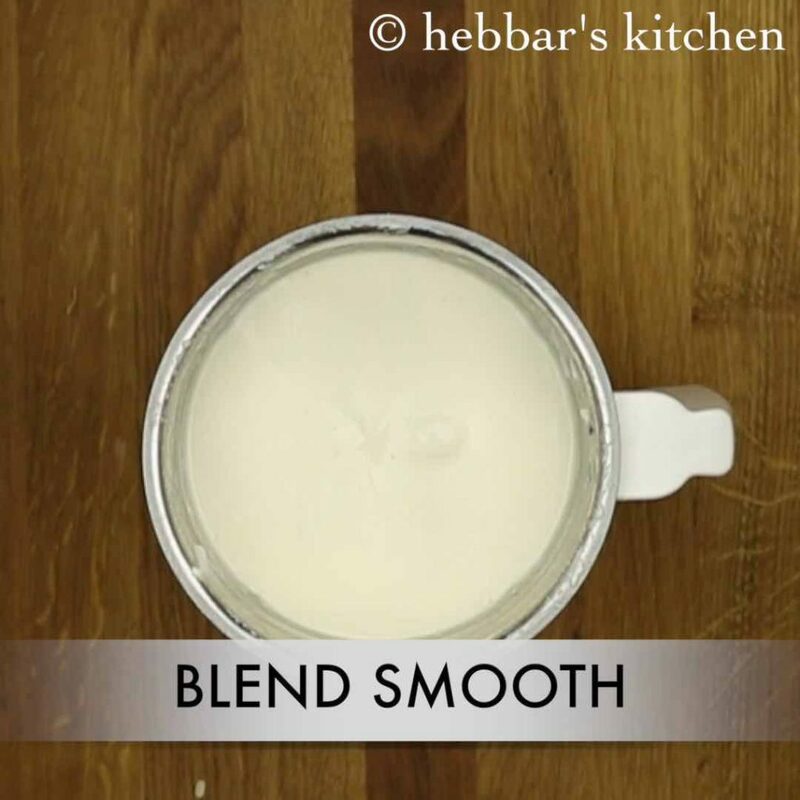 transfer the soaked urad dal into blender and blend to smooth and fluffy batter. add water if required. further, blend the soaked rice along with poha adding water if required. 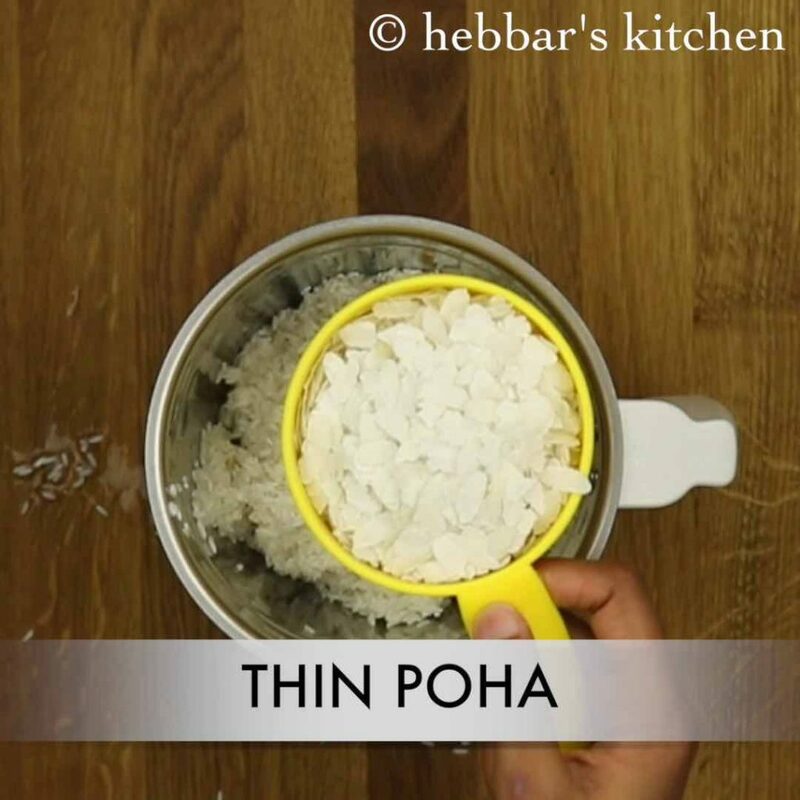 adding poha makes dosa slightly soft. 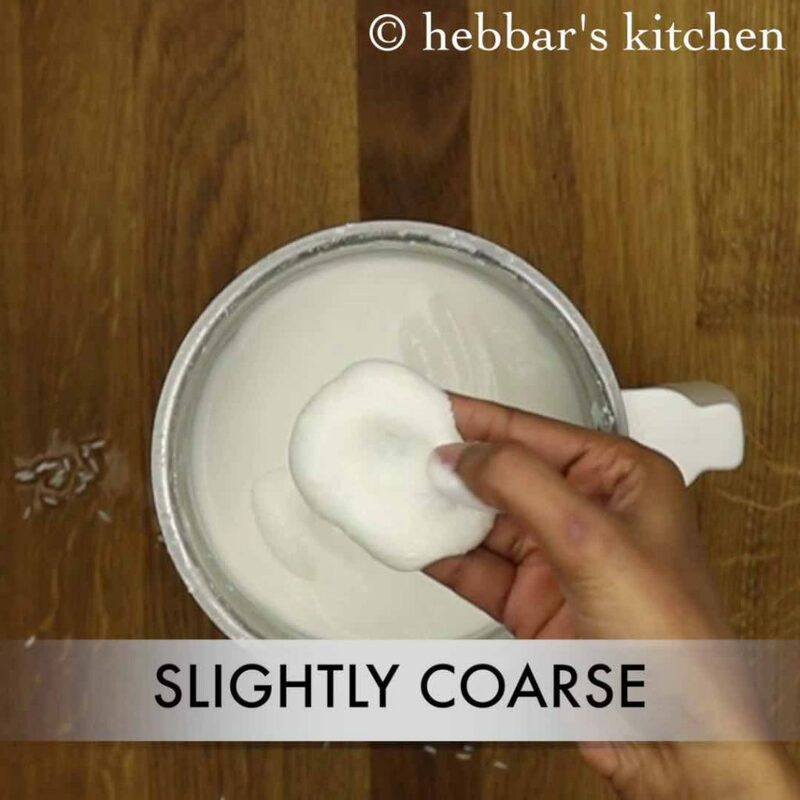 blend to slightly coarse paste. this helps to give nice texture to dosa. cover and ferment in a warm place for 8- 12 hours. the next day you can see the batter has raised well indicating its well fermented. 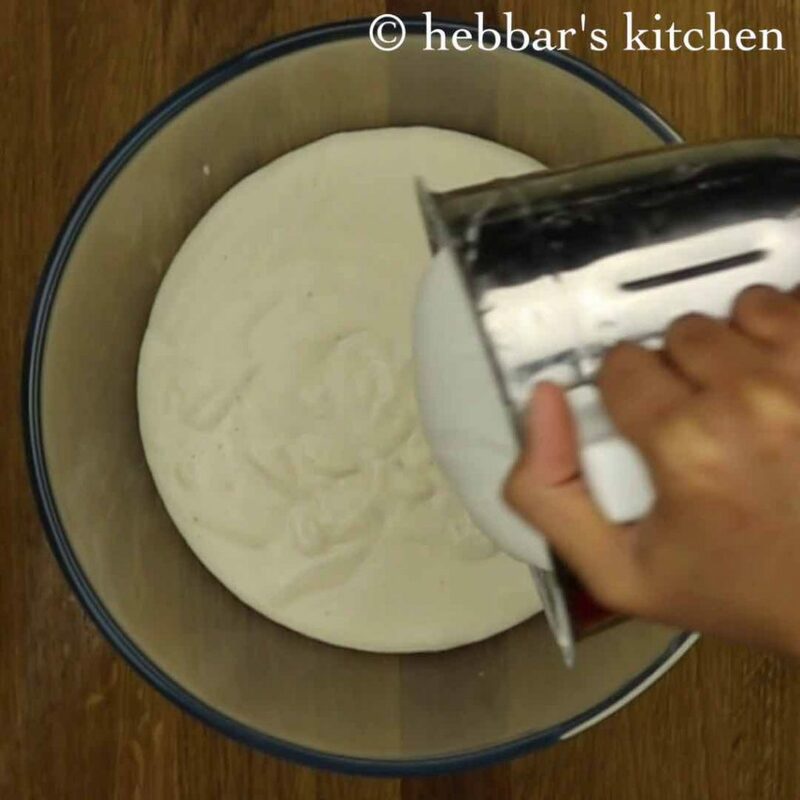 additionally, mix the batter slightly without spoiling the air incorporated in batter. and add salt and water (if required) to the batter and mix well. furthermore, sprinkle some water and wipe off with wet cloth. and pour a ladleful of the batter on it and spread it in a circular motion thin circle. also fold over to make a semi-circle or a roll. finally serve immediately with coconut chutney and sambar. 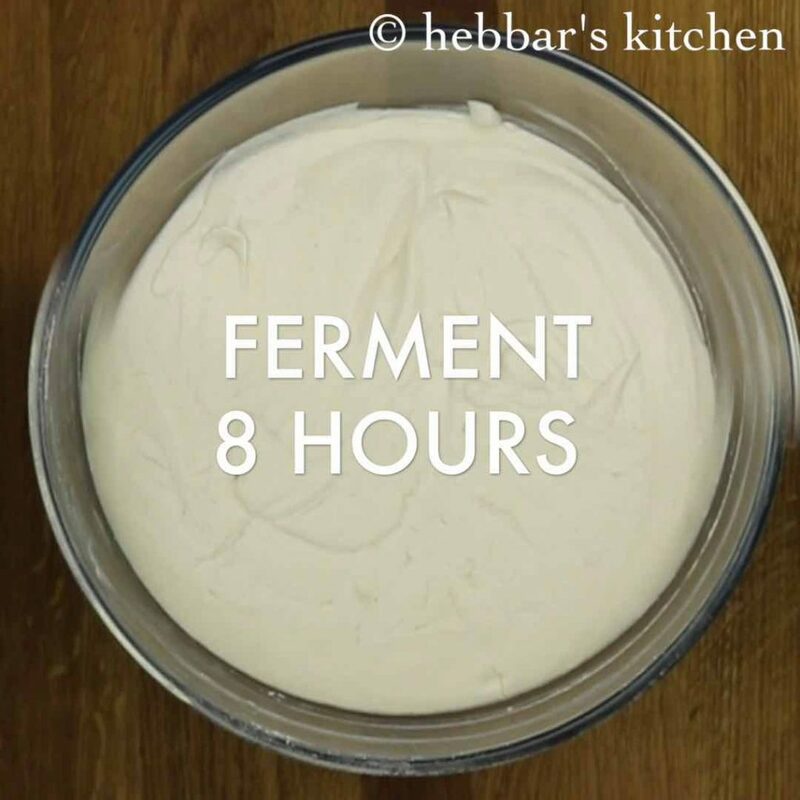 firstly, fermentation process takes around 8 hours. do not disturb during fermentation. additionally, add in salt to required batter only. 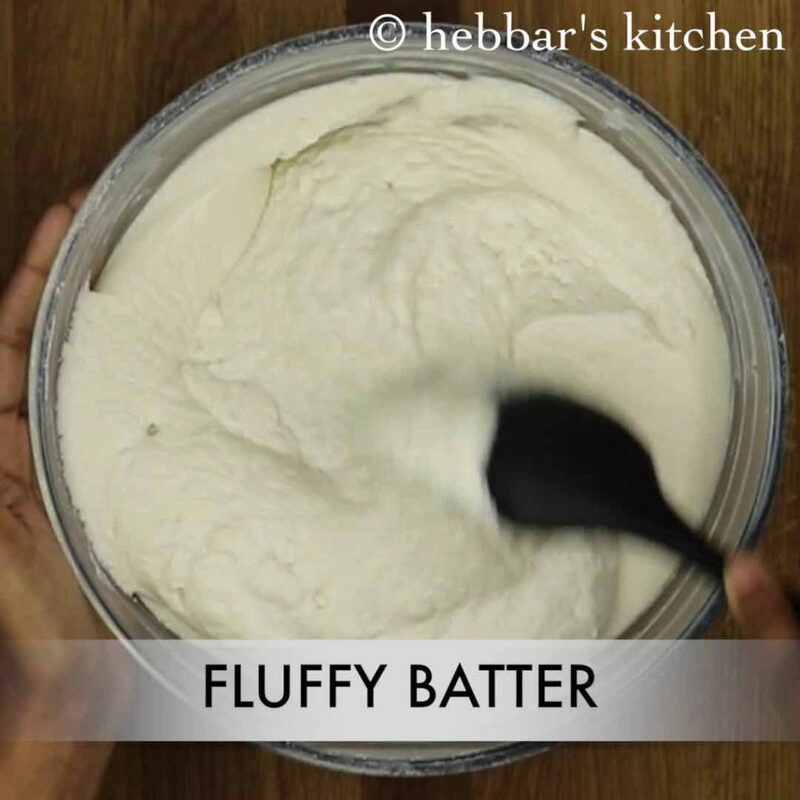 the remaining batter you can store in a airtight container and refrigerate. 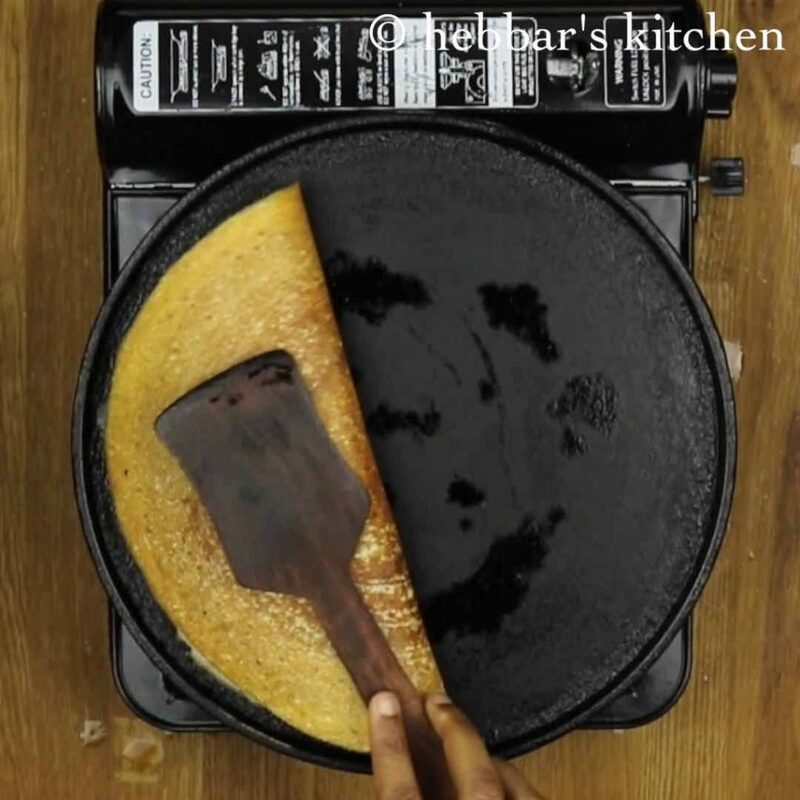 finally, adjust the consistency of the batter while making dosa. Why is dosa sticky to eat? Dear Hebbar’s kitchen. Thank you for the short pain free videos which are fun to watch ! I had a few questions about the dosa batter. In one of the notes you mentioned that urad dal helps with the fermentation. Is it okay to add more urad dal and alter the proportions and dosa would still come out fine if fermented well? Also if by accident the urad or rice got soaked about 7 hours. Is that not going to work. Will there be any problem? Thank you once again! I love all your recipes….u r awesome in cooking…u make cooking easier. ..thank you so much. ….u r d best ……thumbs up!!! Hi if we leave the batter to ferment for 8 hours to 10 hours will the batter get spoilt fast? dosa need to turn golden when roasted. 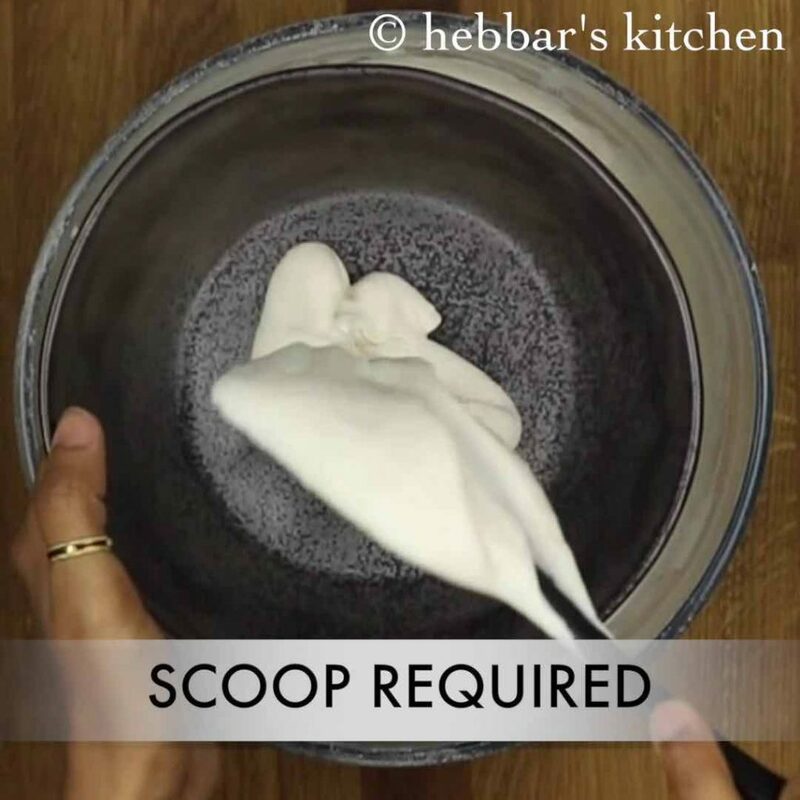 How to remove sourness in dosa batter? What kind of mixie you used. Any suggestions on good mixie to buy for chutney. 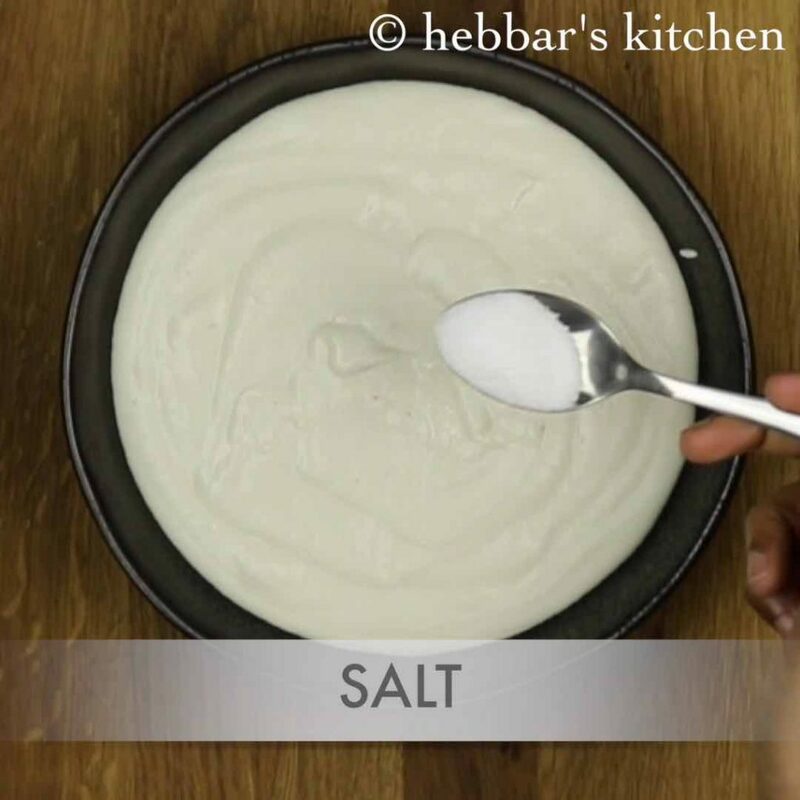 can the same batter be used to make idli ? How long can we keep the batter in refrigerator?? 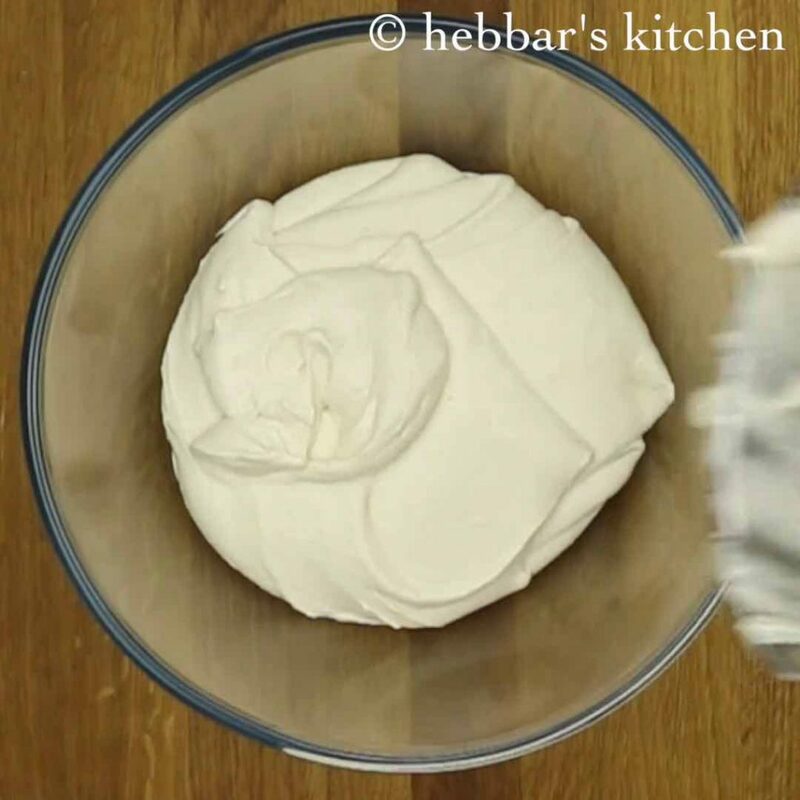 how to save the video of the recipe? as of now we do not have that feature yet. perhaps we will roll out son. keep in a warm place. not in fridge. what proportion should I consider if I use a wet grinder? you can use the same proportions, but be careful while adding water. What is Poha? Give alternative name or explain how to make it. im allergic to urad dal is there any other ingredient i can add as a substitute?